In December 2011, Kayce White began selling her handmade, all-natural cleaning products at craft fairs around Brooklyn, N.Y. Within a year, her company, HAVEN Sustainable Home Goods, scrambled to fulfill the company’s first major order: About 16,000 units for home décor retailer West Elm, whose executive she had met at a fair. Today, HAVEN sells its still-handmade cleaning products online, through West Elm and at about 30 retailers—mostly boutiques—nationwide. Gross sales climbed 400 percent year-over-year in the first nine months of 2013, and White says deals with larger, nationwide retailers are in the works. Entrepreneur.com recently spoke with White about lessons she’s learned while expanding her business in recent months, as well as goals for the coming year. Lesson #1: Be selective about where you sell. Lesson #2: Listen to your customers. White is committed to selling highly sustainable, all-natural products, but discovered that she needs to somewhat balance that goal with ensuring the products are consumer-friendly. For example, the company originally sold its all-purpose cleaner refills in large recycled plastic bottles with enough concentrated solution to refill three spray bottles. But many consumers were confused about how to use the refills. The company has decided to switch smaller glass bottles instead that contain one refill each. “A big part of growing is learning how to make it easy for consumers,” White says. “The most sustainable [model] would be to have the three refills in one bottle,” but that’s not a smart solution if consumers have trouble using it. “As you go through the motions of growth, you start thinking a little differently,” White adds. Refills for HAVEN's all-purpose cleaner came in large bottles that made sense for the environment but not to customers. As the company grows, it is learning how to balance what's environmentally friendly and customer needs. Goal #1: Don’t lose sight of your core values. As HAVEN grows quickly, White says it can be easy to lose sight of the company’s original mission. For example, one of White’s goals is helping people to see that they only need a few types of cleaning products for their homes. They don’t have to purchase separate products to, say, clean different rooms or amenities. But adhering to that mission also means the company must resist the temptation to offer more cleaning products than consumers really need. Instead, she says, the company plans to grow its product lines by focusing on complementary types of products, such as soap dispensers and home décor items. She’s begun partnering with other craft-fair makers to offer their unique products through HAVEN’s web site. Moreover, White says she must ensure she’s working with retailers who are a good fit for selling HAVEN products—which probably aren’t big-box stores like Wal-Mart. “I have to stay rooted to the real reason that I did this,” she adds. 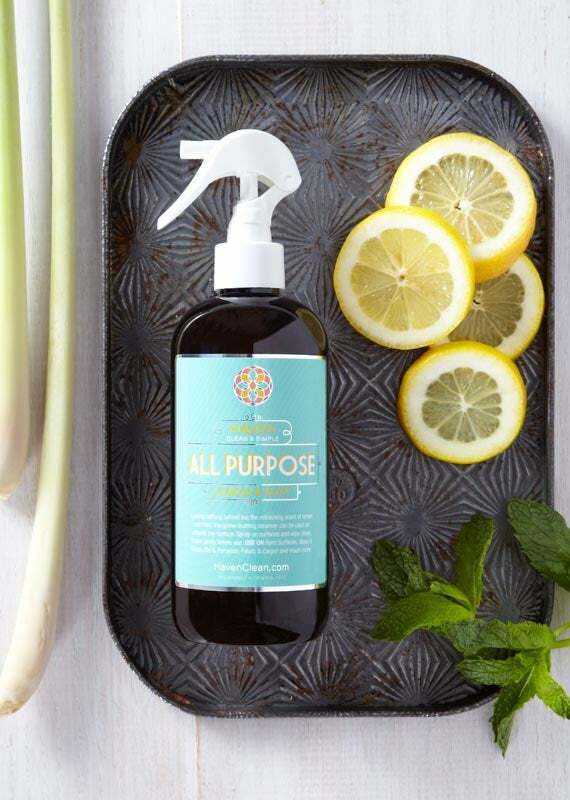 In the year ahead, she plans to add a few more employees to her staff of three, but wants to make sure they are, as she calls them, “HAVEN mavens”—people as passionate about sustainable cleaning and the brand as she is. She is also looking to move the company’s manufacturing from its current small Brooklyn loft in Williamsburg’s industrial section to one that’s two-and-a-half times bigger. As she hires people, it will give her more time to focus on being the visionary and ensuring the growth is handled with care.